High-performance computing may seem a far cry from our everyday lives, but appearances can be deceptive. Storm warnings take their cue from weather simulations made with these computers and computer models help increase flight safety or improve cancer treatments. A special conference at ETH Zurich now offers the general public a glimpse into the research conducted on supercomputers. For aeroplanes that take off in quick succession, air turbulence – so-called wake turbulence – which forms during take-off and landing can be dangerous and even cause the aircraft behind to crash. Computer simulations by high-performance computers render the dynamics of this turbulence visible. This information can be exploited by optimization algorithms that minimize the effects of turbulence by suitably modifying the shape of the aircraft. Petros Koumoutsakos, a professor at ETH Zurich’s Computational Science and Engineering Lab, knows how to make simulation results of turbulence and other dynamic movement behaviour of eddy currents, both in the air and fluids. The spectrum of his research stretches from aeronautics all the way up to life sciences, an impressive example being simulation of blood supply in tumors. At the Platform for Advanced Scientific Computing (PASC) conference, which takes place at ETH Zurich from 2 to 3 June, Koumoutsakos will be giving a talk on the topic of The Arrow of Computational Science on Monday evening. In it, the ETH-Zurich professor will illustrate how computer simulations enhance research and can help solve central scientific and social problems. During the drinks session afterwards, the visitors will have the opportunity to talk to the scientists and ask questions. 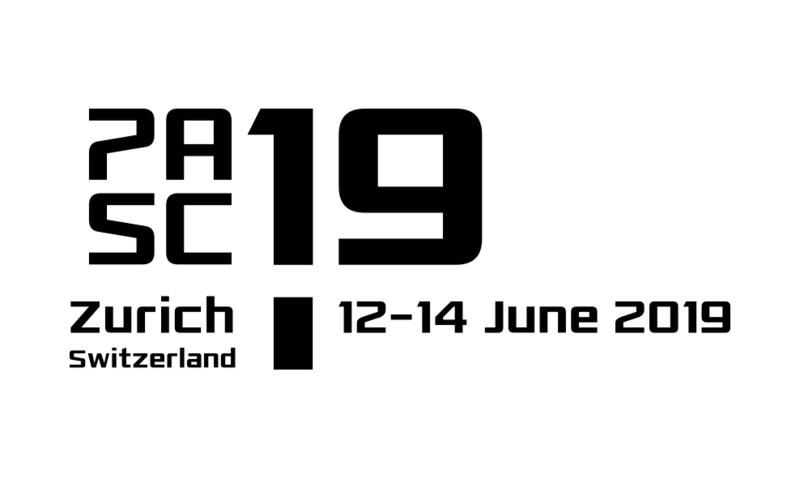 PASC is a joint initiative of Swiss universities coordinated by the Università della Svizzera italiana together with ETH Zurich’s Swiss Supercomputing Centre and supported by the Swiss University Conference and the Board of the Federal Institutes of Technology. It is a union of scientists for whom high-performance computing is a central element of their research. Driven by the sometimes fascinating insights that computer simulations offer them in their research fields, they constantly strive for increasingly more powerful supercomputers. The focus is now on supercomputers from the exascale class, which are supposed to enable researchers to conduct 1 billion computer operations several billion times a second by the end of the decade. PASC would like to equip the Swiss research community with tools that enable the best possible use of such new generations of supercomputers, which should help solve key problems in the individual disciplines. To this end, PASC researchers collaborate with hardware manufacturers, mathematicians, and computer scientists, improve their computing algorithms, and develop systems and framework conditions that are able to use and “manage” enormous amounts of data and simulations efficiently. During the first PASC Conference, researchers from climate, atmospheric, earth, and life sciences, materials research, plasma and astrophysics, mathematics, and computer science will exchange ideas in approximately seventy talks and eighty-five posters on the state of their research in the field of supercomputing. Time: 5:30 – 6:30 p.m. followed by drinks and a poster viewing.